Before you charge into the busy day, take a few minutes to equip yourself. Jesus Calling: 50 Devotions for Busy Days brings the warmth and insight that more than 25 million people enjoyed through Jesus Calling and curates these devotions specifically to prepare you to handle busy days by setting aside your worries and enjoying God’s peace. 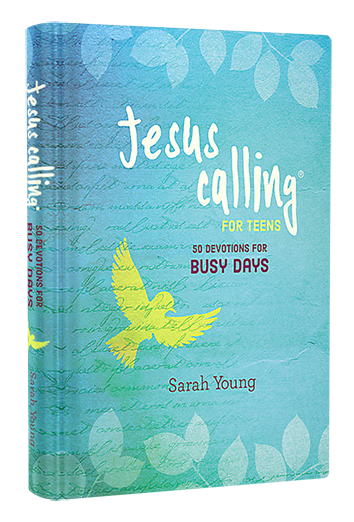 Jesus Calling: 50 Devotions for Busy Days features 50 topical readings from Jesus Calling combined with relevant Scripture verses on the topics of peace, calm, and perspective.